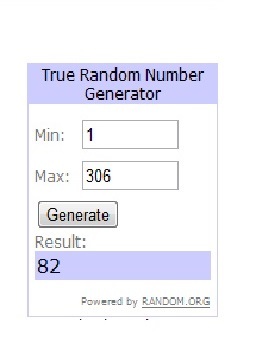 And the Giveaway WINNER Is ???? | The Shopaholic Diaries - Indian Fashion, Shopping and Lifestyle Blog ! The Shopaholic Diaries' International Giveaway ended on 8th January, 2012. Thanks a lot for your support & participation. There were in total 306 entries from different parts of the world. Also I would like to thank everyone for giving nice suggestions like adding more OOTDs and also NOTDs. Though I am not very good at nail art but yes I'll try to do a post on it soon. So finally its time to announce the lucky winner. 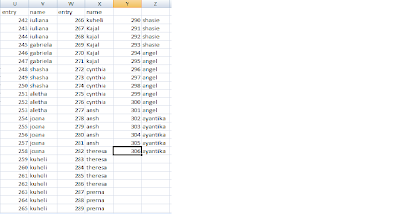 Below is the list of all the entries for the Giveaway, you can check your name in it. Surabhi you need to revert back to my mail or on this post within 48 hours to be eligible to get the prize or else I'll have to select a new winner. And all those who didn't win this time, don't worry there would be a new giveaway soon during Valentine' week. So just stay tuned, this giveaway is not the end of the world.. There is much more to come. Thanks a lott everyone for your continuous support & appreciation to my blog and well I am sooooooo happy to announce that I have crossed 200 followers.. This is such a happy moment for me- I know part of it would be because of the Giveaway but still the comments & the appreciation is enough for me. Once again Congratulations Surabhi, I hope you would like the gifts. P.S. --- Are you kidding me?? I have no doubt about the fact that i am simply going to LOVE all the gifts that you'll send! :) I am so grateful!! Miss Purvi --- Thank you so much! :) I am ecstatic! I look forward to entering your next giveaway! Congratz ! And great blog. Love S.